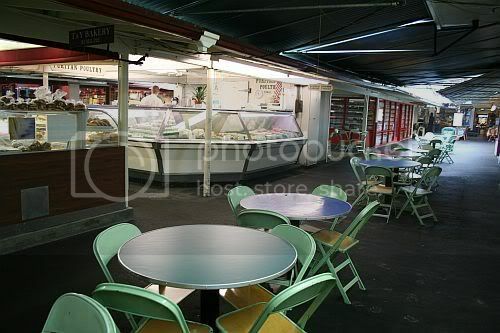 The Farmer’s market at 3rd and Fairfax is Los Angeles’ oldest outdoor market, open since 1934. Most people know it as a tourist attraction, or nowadays as part of the Grove megaplex. 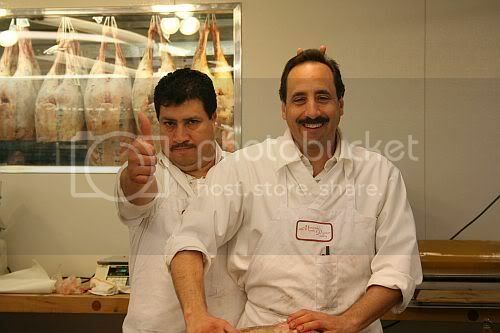 But Farmers market vendors pride themselves on the freshness of their products. 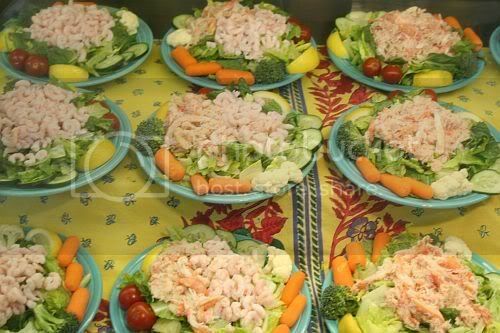 Most of the prepared foods for sale are made right on the spot, often behind big plate glass windows so you can watch the candy being made and the ice cream churning. 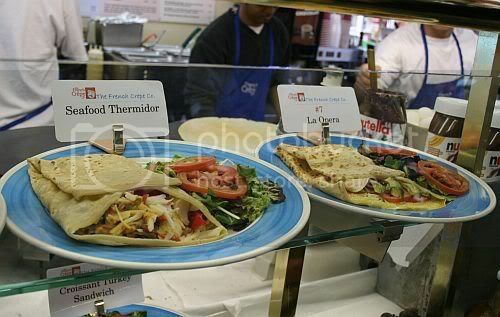 As I mentioned in the last blog, I have a favorite route that I travel through the Farmer’s market. It starts at Gate 4, on the North side, which takes you straight into the food court. 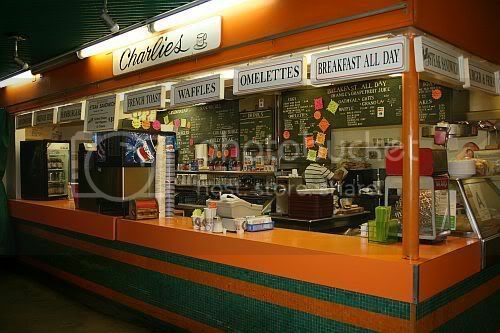 If it is early in the morning, you might start with french toast from Charlies. 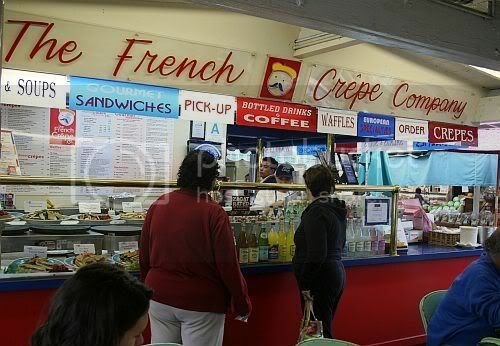 On a Saturday morning, the line for this place can take forever. 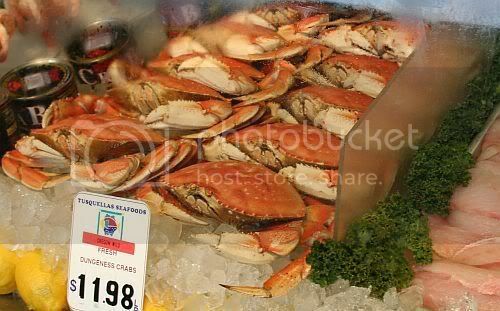 But usually I hit the Farmer’s Market in the afternoon, in which case, go for the Gumbo Pot. On my last visit, he discovered we both had the same credit card and used that to play an elaborate practical joke on me. If you are going to continue shopping, they will hold your purchase in the refrigerator for you. Oh, and they shape their sausage into little piggies. What more could you want? Just next to the meat counter is the nicest produce in the market. But I usually save them for last, since fruit can get heavy, and I feel strange pushing around those green wooden shopping carts. Continue heading East between the two glass display counters of the Ultimate Nut and Candy. The candy counter on the right has very good sugar free candies, especially the English toffee. 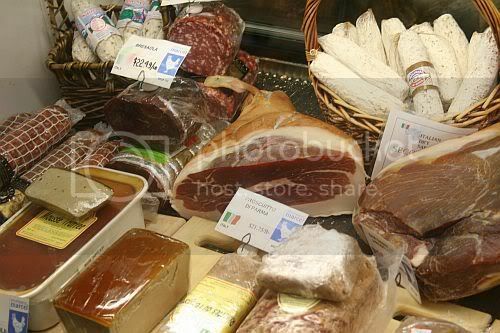 On your left is a counter for nuts and dried and candied fruit, which gets very busy during the holidays. After passing a few trinket shops, you will see LittleJohn’s Toffee House on the right, where you can watch them making candy in the window. They sell homemade marshmallows, which also come dipped in caramel or coconut. At the end of the old Farmer’s market you dead-end at the other food court. Tusquella’s Fish and Oyster Bar, Bennett’s Ice Cream and Patsy D’Amore’s Pizza are all supposed to be very good, although I am usually full by this point. 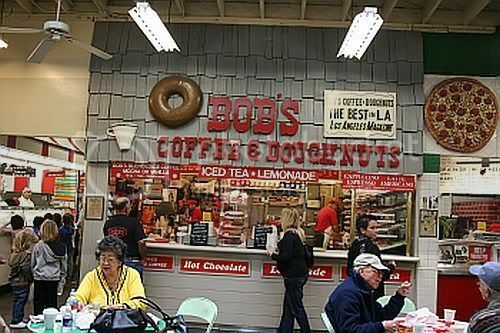 But sometimes I have just enough room for Bob’s Coffee and Donuts, known for its cinnamon rolls and jelly donuts. Then I head south. 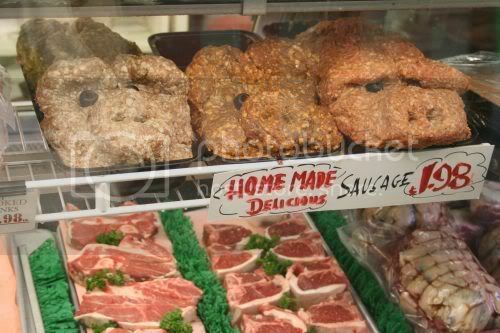 Huntingtons meat market, on the left, is not my favorite. But they do have freakishly huge and meaty ham hocks. You will never want to buy the ones at the grocery store ever again (Do you have pig’s feet? Where do you buy your shoes?). 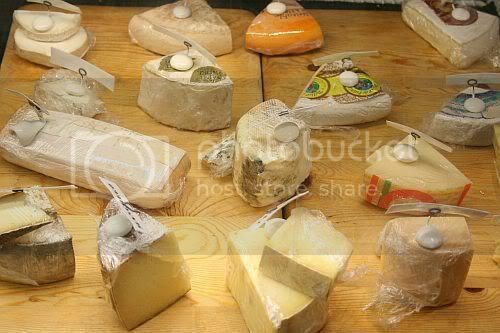 Next to Huntingtons is Monsieur Marcel Imports, which has a French deli with a nice selection of charcuterie, cheeses and wines, etc. Across the lane is their little French bistro, but I have not made it there on an empty stomach yet. Maybe my new year’s resolution next year will be to enter the Farmer’s market at a different entrance. At this point, turn and head West. 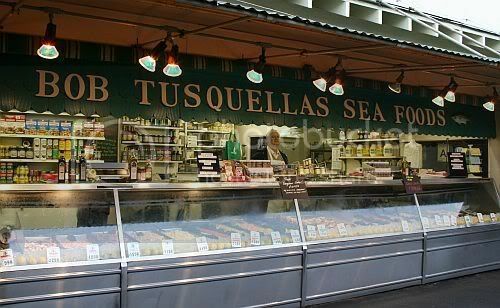 On the left is Tusquella’s seafood. I have yet to buy their seafood, but they have New Orleans products there, so I always stock up on Creole mustard and fish fry. 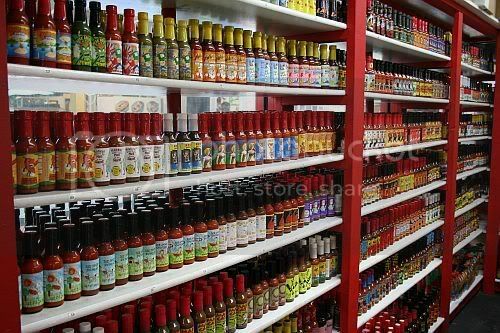 On the right is Light My Fire, which stocks every kind of hot sauce and dried chili powder imaginable. At the end of this lane, you dead-end at DuPars. Now is the time to wrestle with your conscience over whether or not to buy a pie. Then cross back just behind The Gumbo pot, which will bring you past Thee’s Continental Bakery in case you need any baked goods. Just to the right of The bakery is The French Crepe Company, where my friends often choose to line up while I am off getting my catfish fix. Exiting through gate 3 takes you between two produce stands. The Fruit Company on the left has a fantastic fruit salad, which seems pricey, but is worth it. Across the aisle, Farm Fresh Produce has fresh fruits in season; I especially love the bing cherries and figs. Sorry I don’t have pictures of the gorgeous produce. Some guy had started a random conversation with me on this visit and was goading me into photographing the watermelon, which made me kind of nervous. In fact, lots of guys strike up random conversations with me at the Farmer’s market, so it’s probably a good place to troll if you are single. Tips: There is a secret upstairs dining area on the north side if you can’t find a table…They are busiest on weekends and Thursday nights when they have live music, and it can be hard to find parking…The Grove’s parking lot does not accept validation from the Farmer’s Market shops, so pick up a latte or stop by Crate and Barrel for validation if you park in the structure. I like catfish. Sure, we all like catfish, but I think for me it is somehow deeper. This entry was posted in Farmer's market. Bookmark the permalink. Ines, that sounds great. Lucky you, no such community here. But then I do;9#03&nt miss it, since having perfumed friends around the world is just amazing.